Back in August the boy turned 40, and although we were heading to Italy the following month, I couldn’t let the day pass by without some form of acknowledgement. 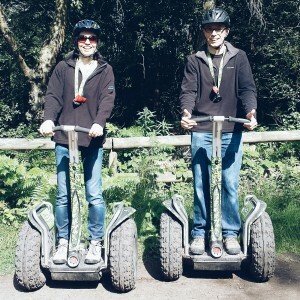 After (weeks) of looking online at various activities, I decided to book a Segway experience at Delamere Forest, and even though all the reviews were nothing but positive, I still had doubts as to whether it was the right thing to do; I mean, how much fun could it actually be? We’ve done GoApe! numerous times up and down the country and always had fun, so I figured it made sense to give their Segway experience a shot. We were pretty lucky on the day as there were only 2 other people taking part; I think this meant we probably got more attention than we would have with a bigger group. Our instructor was really good (I can’t remember his name), but the safety briefing was very thorough. As long as you remember that there is a risk of death and approximately 250 people each year injure themselves on a Segway, you’ll be fine! After the safety briefing about how to get on/off and also what to do if you lose control, (jump off apparently!) we had about 10 minutes of practice which included mounting/dismounting, steering, controlling speed and obviously knowing how to stop! I have to say, I was really nervous to begin with, and even when we hit the first trail I was still convinced that I would end up being a statistic and have to blow my emergency whistle! I was third in line behind the instructor to start off with, mainly because I was concerned about holding the other two people up. But part way through the first trail, the instructor swapped us all around which meant I ended up right behind him. I think he did this because he could see I was struggling; I just felt like I wasn’t in control and the grown up fear of falling off was beginning to show. This made such a difference to my confidence and after a few minutes I really started to enjoy it. When we first headed out, the Segways were in training mode, which meant we reached speeds of about 7.5mph, but once we got out onto the trails, the training mode was taken off and I think we reached speeds of 12.5mph. That doesn’t actually sound too fast, but when you’re whizzing through the forest, it feels quite speedy. There are two Segway trails at Delamere and due to the size of our group, we were lucky enough to do both; I think with more people, it might only have been possible to complete one. There was a mix of uphill and downhill plus different terrain to experience; some fairly flat where we could pick up some speed and some quite uneven where we concentrated more on control. The instructor used different hand signals so we knew which way to turn and also when to stop; he also stopped at various points and explained the route we were about to take and the best way to handle it. Just before we finished, he also stopped and offered to take our photo; not wanting to let the moment pass by I already had my phone on standby! Wear sturdy footwear! Trainers would probably be okay, but we did it in walking trainers and I’m glad I did as it felt more solid. Segways are controlled by the distribution of your body weight. So to move forwards you need to lean forwards and the more weight you put forward the faster you go. This is where I struggled to begin with, but once I realised that I wasn’t going to go over the handles, I really started to enjoy it. To slow down or stop, you kind of pull your stomach backwards and bring your weight back. 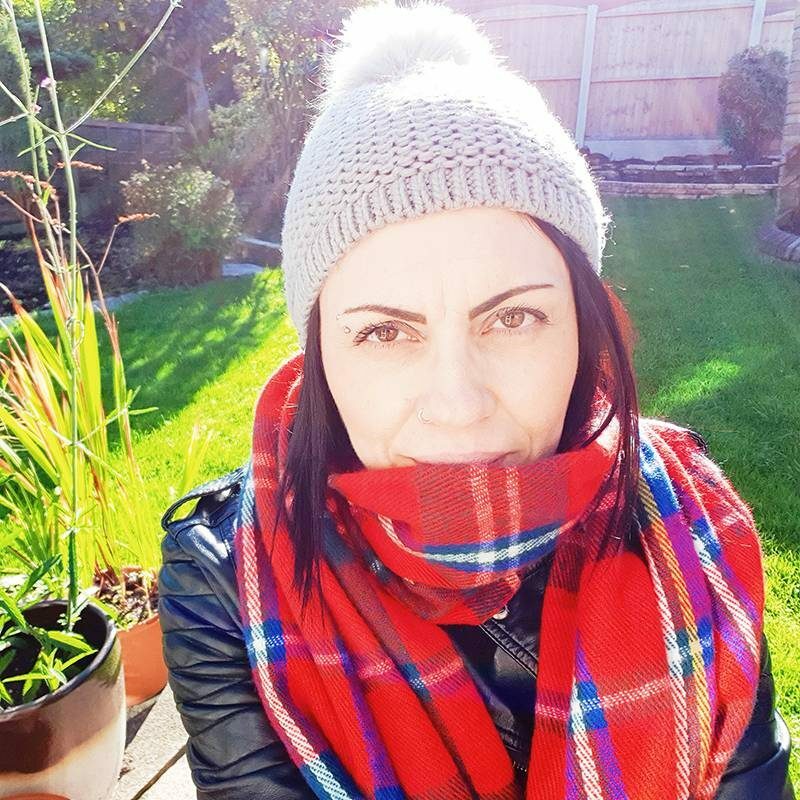 For those Pilates lovers out there – you’ll get this straight away! Always stop when a horse is approaching or they’ll get spooked and slow down to give way to pedestrians. I signed up to the GoApe! newsletter when I was doing my research which meant I got a discount code for 10% off. I wasn’t expecting it so it was a nice bonus! If your code doesn’t work online (like mine), phone the booking line. Sometimes they put a stop on codes if they’ve been leaked onto the internet.